Texas Hold’em is the best-known variant of Poker, played by both amateurs and professionals. The game relies very much on skill and strategy, in order for the player to get an edge over their competition. For starters, the player should learn the basics of the game and then play, often to really get used to them. A king-queen suited hand means that the player holds a king and queen of the same suit. This is the least strong hand to start on this list, but it’s certainly better than other combinations not listed here. With this starting hand, the player has a good opportunity to create a straight or flush during the game, and, of course, a pair is always possible too. If, however, the first 3 cards on the table don’t look promising, simply put, the player should fold. Similar to the king-queen suited, the ace-jack suited refers to having an ace and a jack of the same suit. 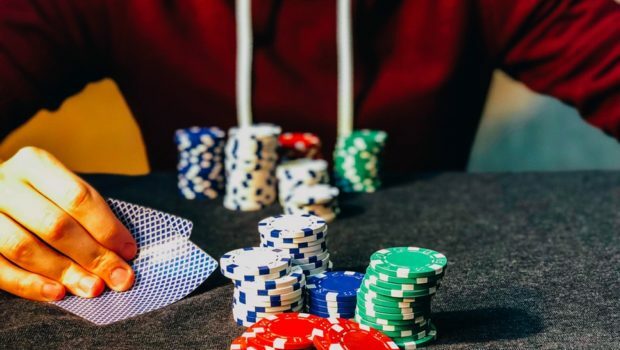 This hand also offers the potential of forming part of a straight or flush further in the game, plus, it has the advantage of an ace high card. This hand has a 40% possibility of beating any other hand that’s not a pair of aces or kings. The Ace-King Offsuit refers to having an ace and a king which are of different suits. Although the opportunity for a flush is lower, the chances that the player gets a straight are still strong. Although counter-intuitive, starting with an ace-queen suited hand usually give better odds of winning over an Ace-King Offsuit. This hand offers the possibility of a straight or flush or, at the very least, a high card win. It’s easy to see the potential of pocket tens, where both cards are 10. The player is starting off with a pair and has the potential for a three or four of a kind. Naturally, pocket jacks are more valuable than pocket tens and offer similar opportunities for a win. Although it looks like an almost sure winner, this hand isn’t so successful. By probability, it offers the player a better chance to win than with any of the previous hands mentioned, however, if the right cards fail to show on the table, the player ends up with an ace high card. There’s nothing better than starting off with a pair, and queens are quite valuable. This is one hand where the player should consider raising early on. This starting hand offers the same benefits as pocket queens, except kings are obviously better. As with previous examples, there’s the real potential of getting three or four of a kind. The best starting hand a player could ask for is made up of two aces, ideally, one which includes the ace of spades. A player can expect to be dealt ‘pocket rockets’, as the hand is sometimes referred to, once every 221 hands.